More information: This Winter Machine formed in West Yorkshire in May 2016. Five musicians with varied – but fairly matching influences – got together in a room and immediately the sparks flew. Comprised of musicians that have shared stages with everyone from Uriah Heep to Marillion, from Tim ‘Ripper’ Owens to Uli Jon Roth, this was a first time in a ‘prog’ band for most of the guys. Influenced by everything from Marillion (both eras) to Porcupine Tree via Rush, Opeth and Genesis, with injections from classic rock and classical music and film scores, TWM wear their influences proudly, but absolutely bring their own sound to the table. After supporting Magnum on their recent tour, the band have worked hard on writing material for their debut album 'The Man Who Never Was'. 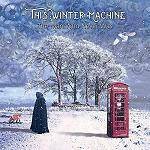 Originally released in 27/02/2017, This Winter Machine signed to Festival Music in June 2017, making their amazing music available to an international audience.